Since getting our laser cutter it has been our aim to design and make a product that could be entirely cut on the laser cutter and then sewn with the minimal number of seams. After a number of different ideas we arrived at our family of chickens (there are three in all). 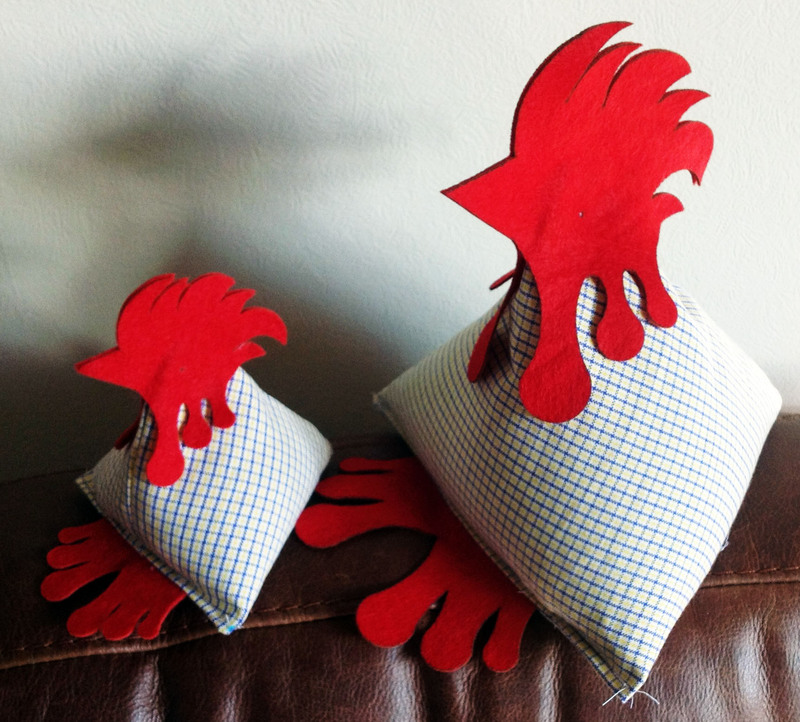 These chickens are based on a triangular based pyramid design with feet and head made from felt. This design was prepared carefully to enable a set of parts to be made and assembled easily. These chickens can be either stuffed with soft material or a heavy material depending on their intended use. The finished chicks have buttons eyes and the large mother hen will have a slightly different design of eye. These items are available to order, please contact use for details.